JT: Many people believe that in the U.S. there’s a rather punitive approach, but you’re more in favour of rehabilitation. What led you to a more innovative approach to the system? GM: The foundation of my belief is that we’re all human beings who deserve a second chance. I’m going to tell a quick story which is the foundation of everything we’re doing: I had been a prison warden for about 12 years, I retired in 2002 and was having a great life – I had a consulting firm with my wife, we did a lot of work, a lot of travelling, and were enjoying life. In December of 2010, I get a call from the office of [Ohio’s] Governor John Kasich asking if I would be interested in being the director of the Ohio Department of Rehabilitation and Correction. I was honoured, but I said no. Two other calls came in that week and I said no again. On the fourth call, I was asked to at least come in and talk to the Governor about what his ideas were. So, on December 27th, 2010, I went to have a 15-minute conversation with him. He told me what he was being advised to do [he did inherit an $8 billion deficit]: close prisons, reduce the workforce, and ship inmates outside of the state to lower-cost privatised facilities. He asked me what I thought of those plans and I said that it was the stupidest I’ve ever heard! Fifteen minutes went to three hours, we had some heated discussions and at the end, the Governor said he wanted me in this job and that I was to do it my way. I told him that my core belief is that people can change and it’s a worthy calling to be part of that change. I accepted the job at that moment, knowing that it was going to be tough. Contrary to what I’m seeing in some of the legislative proposals and the proposed bills in our state legislature, I believe in second chances. When people get out of prison, they have an extraordinarily uphill battle with all the collateral consequences, therefore, we ought to keep nonviolent offenders, those who often need mental health or drug addiction treatment in the community, where the treatment is more effective, at one third the cost, and not build upon these collateral consequences. The savings from this approach should be diverted and invested earlier in the lives of Ohioans. During this eight-year term, “doing it my way” means that our focus is on human beings, on keeping people in custody safe, keeping the community safe, and, quite frankly, expanding smiles. Doing it right is also doing things according to scientific evidence. There are some very punitive ideas [in this state and country] to address non-violent offenders, and that’s what I’m fighting against. And I fight because I don’t need this job! We’ve just gone through a primary election campaign and we hear the words “conservative” and “tough” a lot, I’ve not heard the word “compassion” once! When it comes to criminal justice, “compassion” would be a very healthy characteristic. JT: In what ways does the Ohio Department of Rehabilitation and Correction (ODRC) stand out positively? GM: I was sworn on January 4th, 2011, and early on that year we changed our mission statement from one that was a page and a half long primarily focusing on secure confinement to simply this: “to reduce recidivism among those we touch”. This statement entails both safety and rehabilitation. We created these reintegration centres in prisons where we keep people productively and pro-socially occupied for 8 to 10 hours a day. To do that we created various pathways going from vocational to academic education, and to victim recognition. And, in these units, I’m sending inmates outside offence – around the world, this may not be a big deal, but in the United States it is – to work with private sector employers who have committed to hiring them upon their release. Moreover, we are putting the resumes of our inmates on OhioMeansJobs.com, which is the state recruiter. We created the Certificate of Qualifications and Education (CQE) which means that judges now can look at a person’s reform path, look at their prosocial nature and they can lift and eliminate the collateral consequences that restrict people from jobs, housing, etc. Private sector employers and churches are important because the undergirding of the over-incarceration in this country is the public’s sentiment that, somehow, the incarcerated are less than us. In the late 1960s I remember watching Robert Kennedy running for President, he was campaigning in the impoverished south and the typical white male politicians who were leading the government down there saying: “Oh, there’s a Robert Kennedy’s with ‘those people’, meaning people of colour. Today, ‘those people’ refers to people who are in prison. We witness this sort of caste system that is unhealthy. Such a belief-system creates a barrier to employment, it creates a barrier to life, and, ultimately, it creates unhappiness and perpetuates the status quo. I am preaching change! In the last weeks, I’ve spoken to the Catholic, the Methodist and the Jewish and I spoke to them very directly about them getting involved with us and looking at these bills that are pending. Churches can help change hearts which we need to do. JT: What are the main goals and how have you been pursuing them when it comes to the efforts towards prison population reduction across the U.S.? GM: There are a number of states that have successfully reduced their prison population for a lot of reasons, economics being one. They have done it through state legislatures, by reducing some of the sanctions to make them community-based. We, in Ohio, should be doing a whole lot more to divert drug possession offences to community corrections because we see that the most significant reason that people are sent to prison is a charge of drug possession. Why are we sending people that have an addiction to honoured? Why are we handling addiction as a criminal justice issue and not a disease? Tom Clements – a former director in Colorado – had this phrase: “Prisons are for people that were afraid of, not mad at.” Unfortunately, there are a lot of people in our prisons that we’re mad at. I’m the president-elect of the American Correctional Association and we talk about mass incarceration, we promote policies for nonviolent offenders, so I would say that there is a national push to effect some changes. The day I started working in the correctional sector, as a teacher’s aide at a prison, there were 8,300 Ohioans in prison; during my tenure here there’s over 50,000. And we only had 5% of the workforce assigned to our agency, today it’s 25%. The day I started, the budget to operate the system was $54 million, currently, the budget is $1.8 billion! I am not so sure that citizens feel better about this massive increase in spending. There are currently twenty-four pieces of legislation in Ohio that, if passed, would add another 10,000 inmates; another $250 million dollars to operate. And we don’t have facilities so we’d have to build on top of that. Shouldn’t we be putting resources earlier in people’s lives? Sometimes, fighting this unfortunate reality gets frustrating. We worked with legislators to create this piece of legislation, and it’s a good one – it enhances the ability to “seal records”, it expands treatment in lieu of prison and enhances the judges’ ability to make helpful decisions. We suggested that the statute included rehabilitation as a principle of sentencing, so we added that language, then I testified but, as soon as I finished, the prosecutors association in Ohio came up and opposed it. They said it undermined public safety! So, to say that I’m frustrated is a major understatement! JT: The ODRC has ordered the development of a master plan, could you explain in what does it consist of and the changes that have taken place in its implementation? GM: The master plan focuses on the question: “is our physical environment appropriate to meet our mission of reducing recidivism?” Well, it’s not; the newest prison that we have I think was built in 1999, and we have these linear prisons which don’t have programmes space, etc. So, there are especially three prisons that we’re making major changes to. To one of the facilities we’re adding 160 beds for the severely mentally ill (that’s unfortunate that we are the largest mental health provider in Ohio), and we are creating almost 200 geriatric places for older inmates. Moreover, women are the fastest growing component of our prison population and they have the highest mental health needs, plus, they actually have a higher rate of addiction than the males and they’re less violent. Now, tell me, logically, should that be our fastest growing element? No! But as it is, we’re rebuilding a significant portion of our women’s facility, it’s going to be like a treatment mall. Then, we have the Medical Center – we’re putting $47 million in that – with additional mental health beds, and another 300 medical beds. With the master plan, we’re trying to address medical and mental health needs, and, at the same time, these new units have program space and we will use some technology to enhance program time, for instance, using technology to avoid counting every inmate seven times a day! We’ve spent a lot of time and effort using the University of Cincinnati particularly to assess the programmes that we provide in our prisons. Our evidence-based programmes reduce recidivism and violence, so, when we start to diminish the offering of these programmes because of these other things like counting inmates, then we’re enhancing violence and increasing recidivism. I hope that when these facilities are finalised that we will wind up with a model for the rest of the prison system. JT: The great majority of Ohio’s inmates have a dependency on drugs. To what extent do you believe that decriminalising the use of drugs could have a positive effect? GM: When it comes to the drug-addicted, what we’re doing now is certainly not working. In Ohio, more than 10% of all of the men and 23.8% of the women coming to prison their most serious offence is drug possession [and we take in 20,000 Ohioans a year, most of them are men]. Since I’ve been director we’ve increased our funding to the communities out of our budget by over 100 million dollars a year, and it’s frustrating to witness that from 2015 to 2017 there’s been a 5.5% increase in the number of men that have come to prison whose most serious offense is drug possession and in women it’s 10.8%. So, we’ve spent two years looking at Ohio law with a committee of twenty-six people, including legislators, and we created a drug chapter in the Ohioan Revised Code that enhanced treatment in lieu of prison among other things. There’s not a lot to do for an addicted person coming to prison for one or two months, however, that time results in hundreds of collateral consequences that prohibit their future jobs and other social integration means. Continuing to put more and more people in prison for drug possession is not supporting personal rehabilitation nor public safety. We have to do a drastic change, we must ensure that we divert non-violent people out of prison and we take those resources and we treat people. Even the most conservative would support more effective outcomes at a lower cost. I would anticipate in November that Ohio will have a referendum on its ballot that would fundamentally reduce some of the felony drug possession offences to misdemeanours. Common people and communities are calling for treatment for those who have a drug addiction not increased penalties, the problem is that what I’m seeing in our legislature doesn’t reflect an understanding of addiction as a disease. JT: How would you like the future to be for ODRC? GM: I’d like us and our budget to be smaller and I would like those resources placed in improving people’s lives. I would like a greater influence on prevention. I would like places to go that were not prisons, where parents and grandparents can take their child or grandchild and say: “I think we’ve got a problem here” and walk in and be treated. Also, the system should be built on incentives and some disincentives. Right now, how a person spends time in prison doesn’t matter. It simply doesn’t matter! There are no significant incentives for people that get high school diplomas, vocational training, go through therapeutic drug communities or other evidence-based programmes that truly make a difference. I believe that if they complete programmes they should get a tangible reduction of their sentence; there should be a greater continuum and a greater sense of “what you do in prison counts”. I think there should be less separation between ourselves and the people: churches and employers need to continue to get involved. Inmates should have a job before they leave prison and right now we’re working on that: we train truck drivers in prison, we give CDLs (commercial driver’s licenses). In fact, we have rigs outside where inmates learn how to drive trucks with supervision. In the day they leave, they are connected with a trucking firm that will hire everyone. That’s the kind of vision we ought to have in all of these kinds of vocational areas. Finally, I’d like to mention the issue of pretrial and our bail system: 61% of all of the Ohioans that are in our jails have not been found guilty. Research tells us that people going into their trial from jail are convicted at a higher rate and receive higher sentences. So, it’s not just the prison system, it’s how we’re handling people that don’t have money! There’s a piece of legislation that we are supporting that says that whether a person stays in jail should not be based on how much money they have, it should be based on risk assessment. 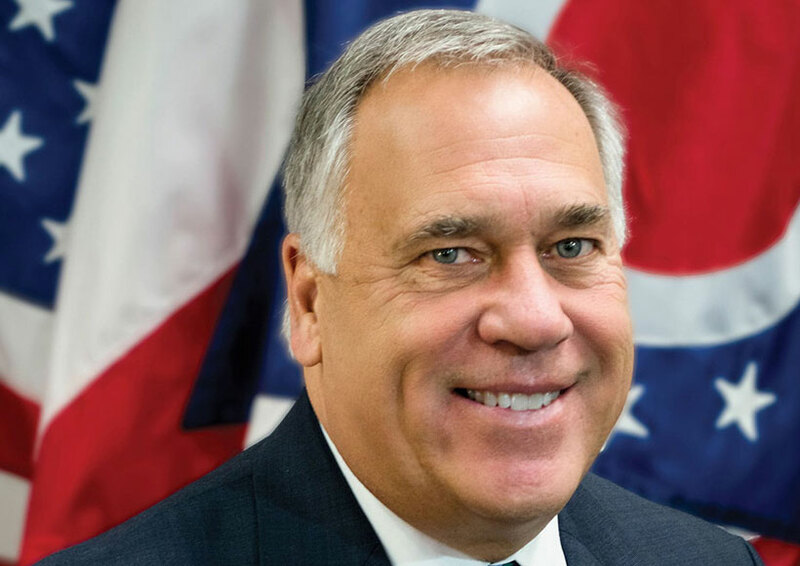 ﻿Gary C. Mohr is the director of the Ohio Department of Rehabilitation and Correction since 2011. 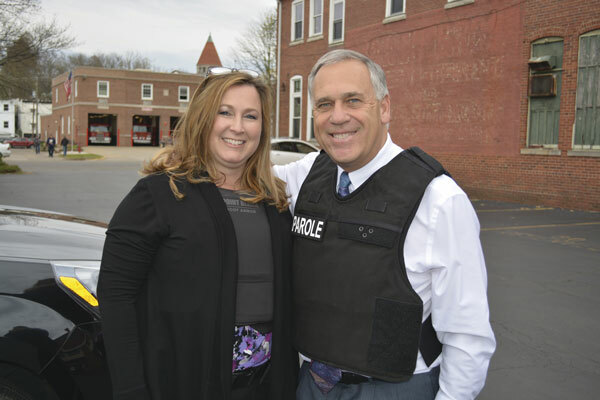 He has served in different functions including Director of the Governor’s Office of Criminal Justice (1992-1994), where he led the investigation into the cause of the 1993 Lucasville riot. He has received various awards for innovation in correctional practices, for his support of community corrections, and commitment to correctional accreditation. Mr Mohr is a member of the Vera Institute’s Advisory Council of the Safe Alternatives to Segregation and is the President-elect of the American Correctional Association (ACA). He a national reputation for being an innovative prison reformer.